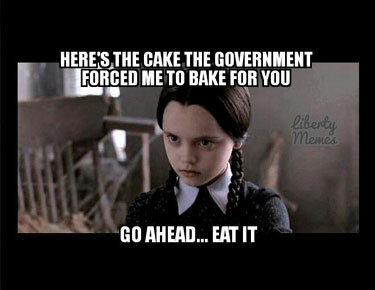 Never Yet Melted » Will SCOTUS Revive Freedom of Association? 2 Feedbacks on "Will SCOTUS Revive Freedom of Association?" I would like to ask another question of the attorneys. Would you force a Muslim baker to create a cake that depicted Mohammed wearing a dress? If a black couple wanted a cake that said “Kill Whitey” would you make the baker provide it? Try getting a cake made with the Confederate battle flag on it.